An Italian aid worker held hostage for more than three weeks in Afghanistan has been released and is healthy, the Interior Ministry said Thursday. Clementina Cantoni, 32, is safe, said Interior Ministry spokesman Latfullah Mashal. CBS News Correspondent Sabina Castelfranco reports that Cantoni's family confirmed her release. "Yes she has been released. She is at the Ministry of Interior. She has spoken with her mother by phone," Mashal told The Associated Press. "She is in good health given the 24 day ordeal she went through," he said later at a press conference. He said the government did not give any concessions to the kidnappers to secure her release. "No ransom was paid and no other concession was given," he said. Cantoni was abducted by armed men on May 16 as she was being driven to her home in the capital, Kabul. Castelfranco reports that she was working for CARE International and was well known for her aid work assisting Afghan widows and their familes. Michael Kleinman, an official with CARE International, declined to comment on her release. 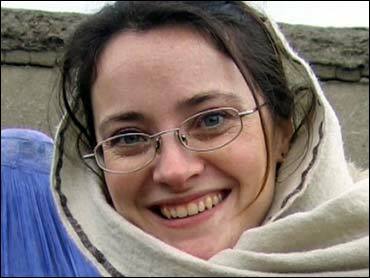 Afghan officials had been optimistic of her imminent release in the past couple of days and said that contact with the kidnapper had suggested Cantoni was healthy.